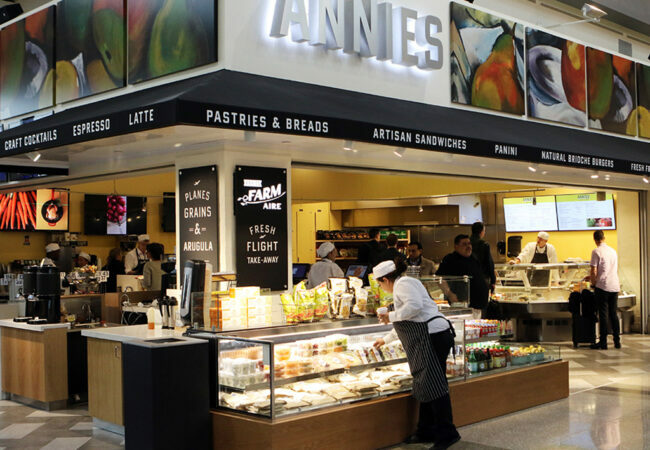 Annie’s Café & Bar – Fish Construction, Inc. Known for their local and organic café and fresh market fare, Annie’s Café & Bar reopened in a gleaming new kitchen and restaurant area in a prime corner spot on the concourse. 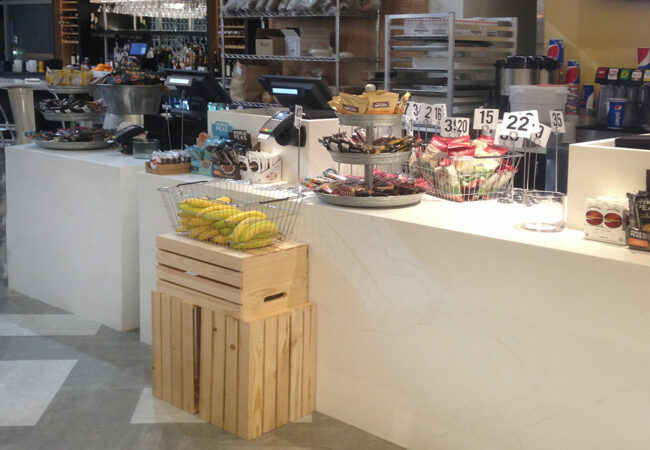 Fish Construction fabricated and installed contemporary counters of Calacatta Andes MetroQuartz, a material with incomparable strength and durability. White oak and stainless steel was used to complement the modern look. 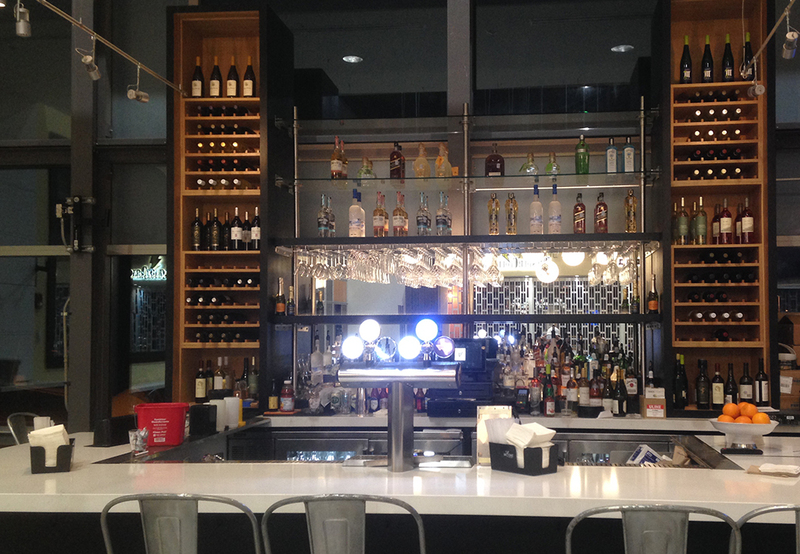 A stylish 3-sided bar was incorporated into the new space, featuring tall wooden columns for shelving to display their extensive wine offerings.